So I went back to Sai Gon as planned, and this time I’ve managed to come to all the cafes & restaurants I wanted to visit since last time. If you haven’t read the first part of my “cool places in Sai Gon” list yet, check it out here. 7. 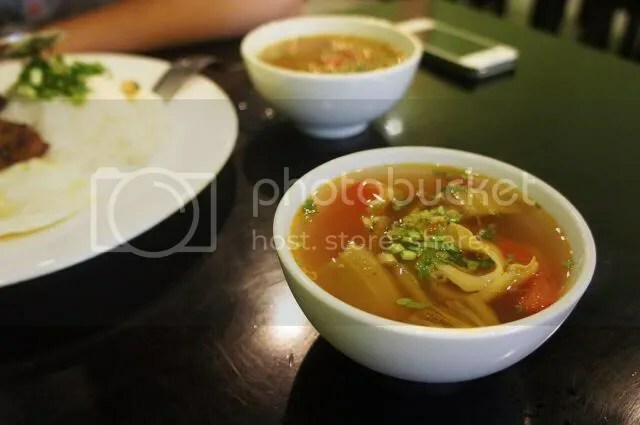 MOF – Ministry Of Food: 130 Lê Lợi St, Ben Nghe ward, District 1. 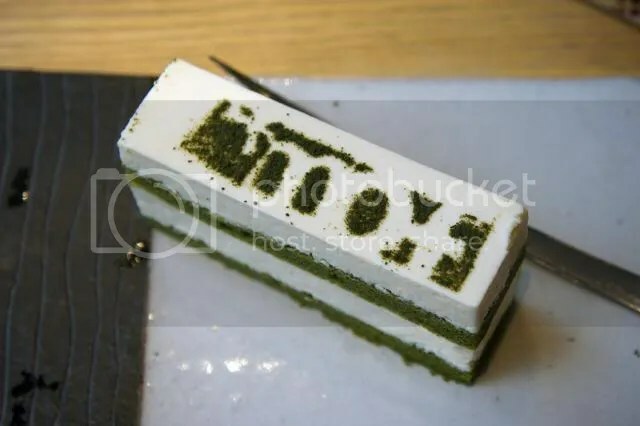 MOF is all about japanese sweets and coffee, they have a massive menu with delicious looking desserts, and I have to say it’s a bit more pricey compare to other cafes. But since it’s quality food made from healthy ingredients, it’s understandable. They have a wide range of gelato, cake, drinks and food. I wish I was able to sit there and order every single one of them to try. 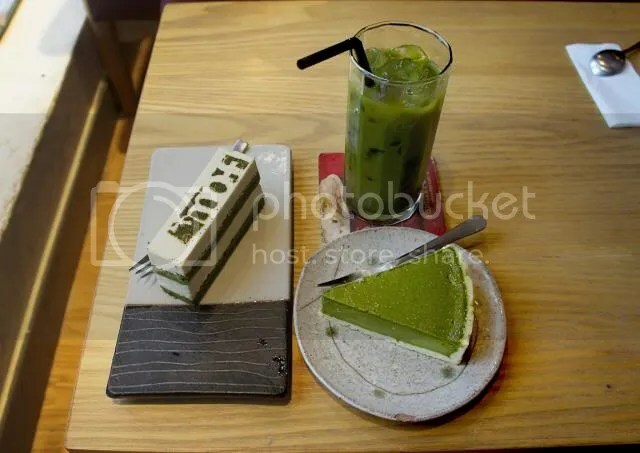 They’re having promotions for their new matcha (green tea) dishes at the moment so they offered several matcha combos. 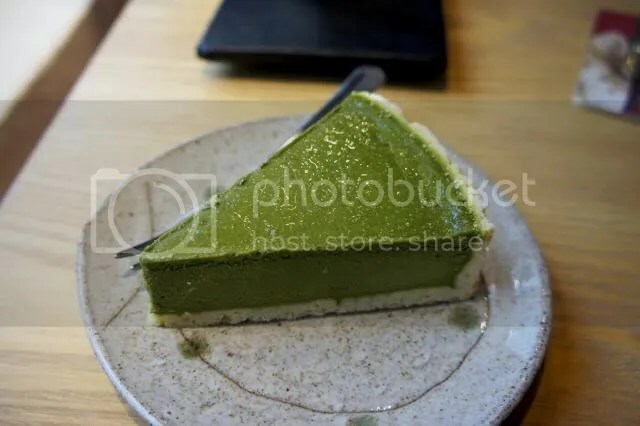 This small cake is delicious. It’s sweet and creamy enough for you to crave for more after finishing a whole piece! 8. TOUS LES JOURS: 44 Lê Lợi, Bến Nghé ward, District 1. 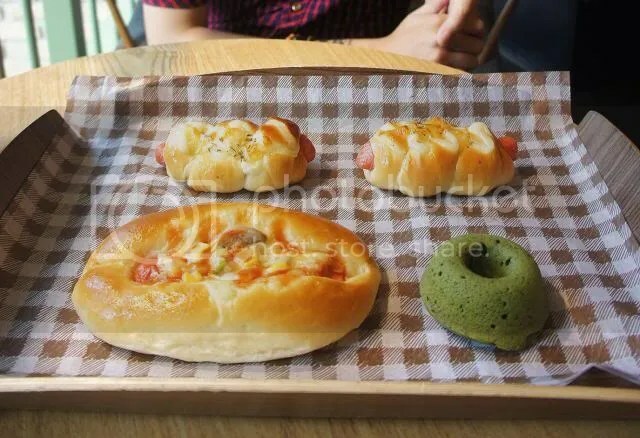 A korean french style bakery. I went there around 8 in the morning and they’re already open. Their range of bread & roll are very tasty and have reasonable price, but the cakes are more pricey than other famous bakery. 9. CƠM TẤM NGON: 31 Cộng Hòa St, Ward 4, Tân Bình district. It means Delicious “Tấm” Rice. 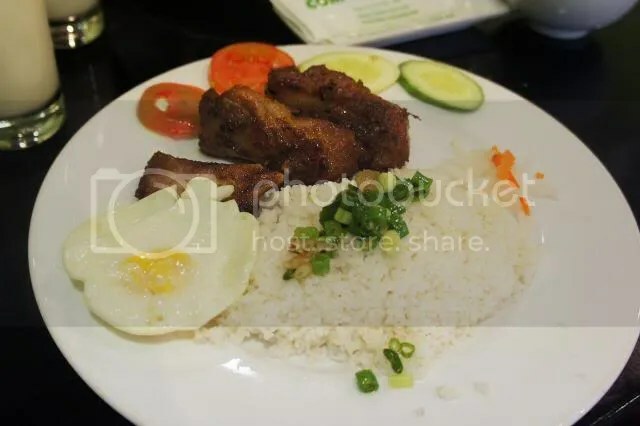 Cơm Tấm (Tấm rice) is a famous dish of Sai Gon, the rice is not as sticky as normal, and it was actually a low rated rice back in war times. 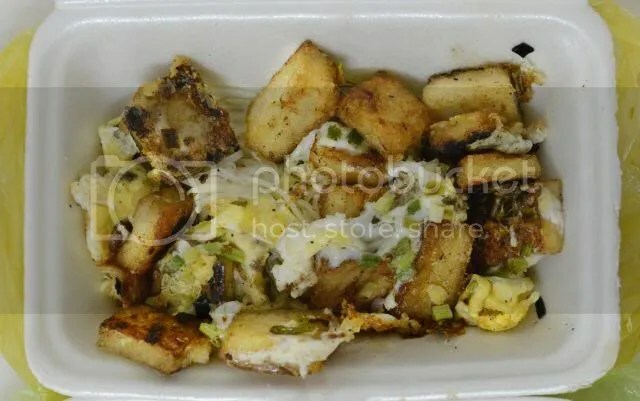 Gradually it becomes a special dish that everyone must try when they travel to Sai Gon. It’s a very simple and healthy dish, and this place specially serves it, with many options. 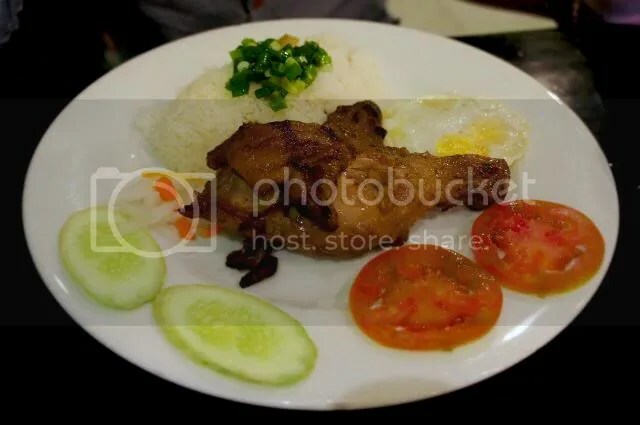 My friend ordered cơm Tấm with fried chicken drumstick. 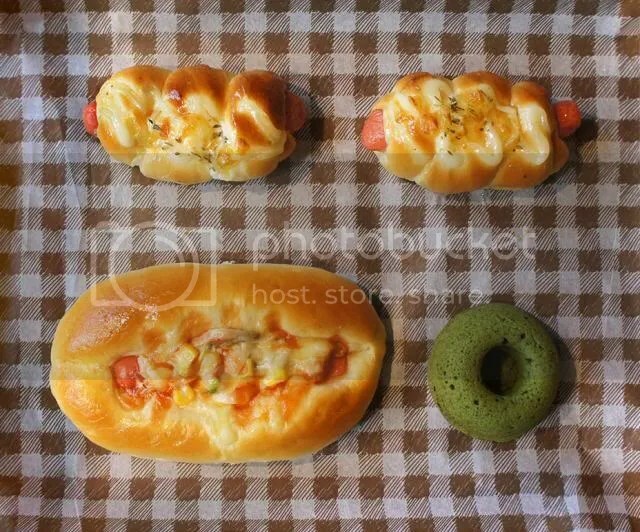 Look delicious isn’t it? And I had cơm Tấm with fried pork chops, which is the most famous cơm Tấm dish. Tasty tasty. We also ordered some soup, this one is soar soup with beef. I miss its flavour, it’s been long since I last have a bowl of this, it the best thing to have with rice. 10. 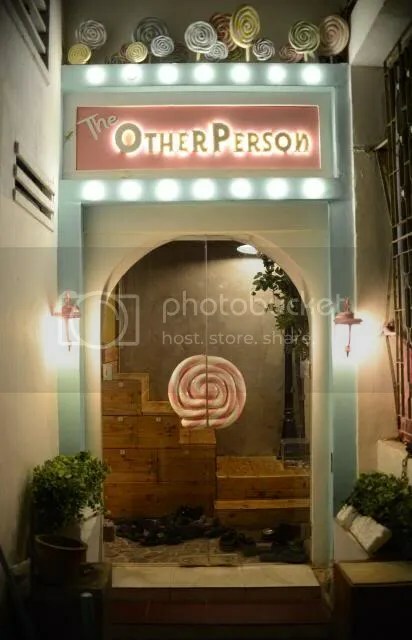 THE OTHER PERSON CAFE: 14 Tôn Thất Đạm St, Nguyễn Thái Bình ward, District 1. This is every otaku‘s heaven. If you love Japanese culture, or simple manga & anime, you’ll know about maid/butler cafe. This is where you’re called “Master” the moment you set your foot inside. I was too carried away with the Wonderland-like interiors so I forgot to take any picture inside :( They even have a Totoro themed room, which was build by their own hands! 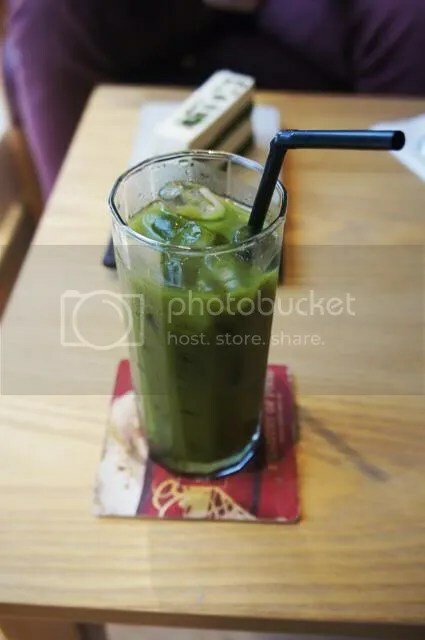 You can google “the other person cafe tôn thất đạm” for a peak inside. 11. 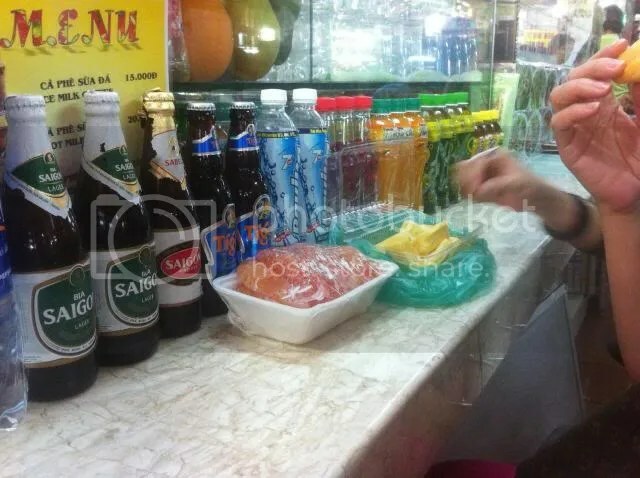 JUNK FOOD: Some of you may not consider these “junk foods”, but in Vietnam, our junk food are always delicious. 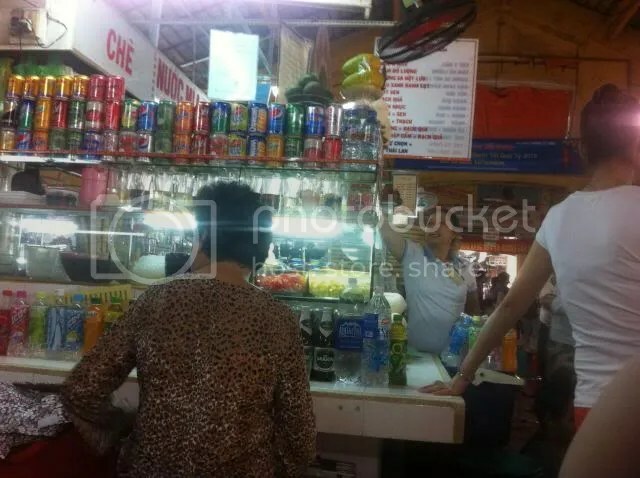 Inside Bến Thành Market, where you can buy pealed fruits and sit in a mini-open-cafe to drink fruit juice. 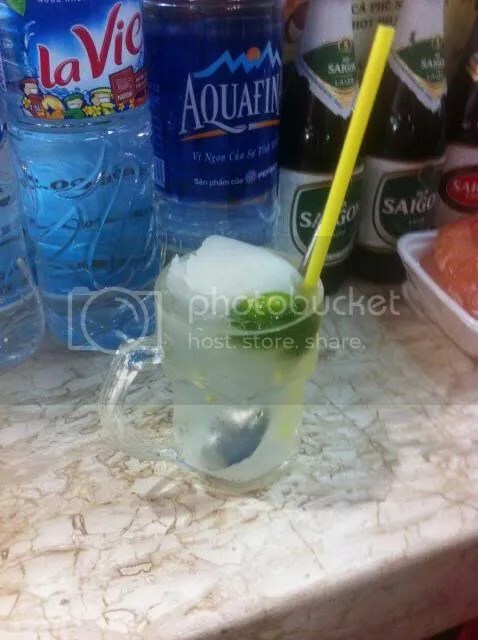 Here I have “dừa tắc” which is coconut juice mixed with mandarin/kumquat juice. “Bánh tráng nướng”. You know spring rolls? This is the rice paper that they use for the roll, sandwiched with dried meat/shrimp, onions and oil, crisply grilled. You can find this in the park next to the Notre Dame. “Bột chiên trứng”. Specially mixed flour dough fried with eggs, topped with soy sauce. 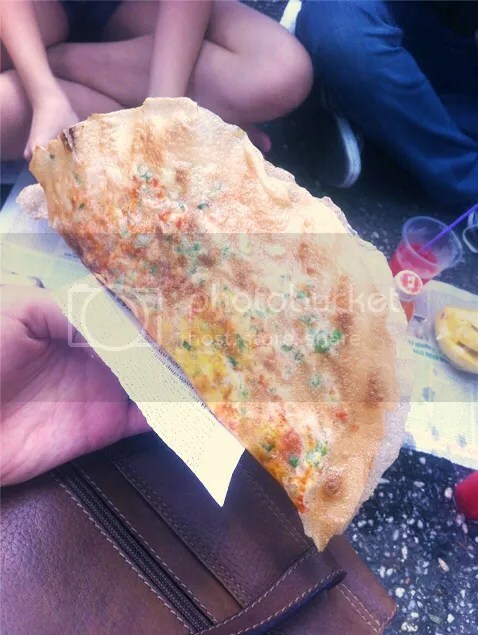 This is one of my favourite junk food in Sai Gon since I was little. It’s super tasty! You can find this on the street or mini restaurant near schools area. There are plenty of amazing places with good food in Sai Gon, I don’t know what will I find out next time haha. I hope you enjoyed this post! Stay tuned and I’ll see you next time!